This project was initiated by the Family Mental Health Alliance (FMHA). FMHA is an alliance of family organizations and individual family members working to develop a stronger voice for families in the mental health and addiction system, to strengthen the supports provided to families and to raise awareness of issues from a family perspective. The people whose experiences are featured in this report live, every day, with the consequences of a loved one’s mental health or addiction problem. They have struggled, in some cases for many years, to find support, information and validation in a health care system that rarely acknowledges the important role they play and, even more rarely, meets their needs. They are vocal advocates for their relatives and, despite the challenges with which they live, they remain hopeful, passionate and committed to ensuring that their experience benefits others. We are grateful for their generosity in sharing their stories. Appendix A provides a full narrative of the experiences of seven people whose family members have been diagnosed with serious mental health or addiction problems. We are indebted to those individuals for what they have taught us, and for their enormous contribution to the health care system. We are also grateful to Valerie Johnson, Johnson Consulting and Ursula Lipski, Schizophrenia Society of Ontario for research and writing of this report. Addictions refer to problems related to substance use or gambling. Concurrent disorders refer to the co-occurrence of both mental health and addiction problems. Mental health problems refer to a wide range of mental health issues that include problems related to mood, anxiety, impulsivity and cognitive/perceptual processes. Relatives refers to people with a formally defined connection (whether biological or not) to one another. Provider (or Service Provider) refers to a professional (e.g. social worker, case manager, psychiatrist, nurse, etc.) who is paid to provide mental health and addiction services. This paper highlights the important role of families within the mental health and addiction system and the impact of mental health and addiction problems on families. It documents the experiences of families, describes the critical role they play and calls for increased resources for the services and self-help organizations that support them. The well-being of families is interconnected with the well-being of consumers. When consumers are better served by the mental health and addiction system and when consumers’ needs are acknowledged and met, families benefit tremendously. Although we focus on family issues in this paper, we support consumers in their advocacy efforts for changes to the mental health system and their calls for increased funding and supports to consumers. Supporting consumers is central to supporting families. The incidence, impact and consequences of mental health and addiction problems are well known. What is less well known and appreciated is the tremendous but often invisible role that family members have within the mental health and addiction system, and the impact of mental health and addiction problems on families. This paper outlines the important role of family, the impact of mental health and addiction problems on families, the needs of families, and the benefits of involving them in care provision and decision-making. It serves as a blueprint for governments, decision-makers and mental health professionals on how to involve families in the system and support families to meet their needs. The presence of a serious mental health or addiction problem can have significant consequences for all family members. The chronic stress that family members’ experience, along with the practical demands of caring for their relative, can have an impact on their day-to-day living, health, social and family relations, careers and financial situation. Families are a critical piece of the complex network of people, organizations and institutions that make up the mental health and addiction system and they cannot be overlooked. The needs and contributions of families living with mental health and addiction problems must be addressed. The frequently overwhelming stress families experience requires that they have access to services and supports designed to answer their questions and respond to their concerns. The critical role they play demands that they be recognized as partners in the care of their loved ones. The valuable contribution they make to Ontario’s health care system justifies significantly greater investment in family programs and services. The statistics are staggering. At some point in their lives, most people will be touched by a mental health or addiction problem –one that they experience either directly or through a family member, friend or colleague. Many will struggle with both an addiction and a mental health problem at the same time. 13.6% of Canadians are high risk drinkers. Current Canadian drinkers (of all ages and drinking levels) report some form of harm in the past year due either to their own alcohol intake (20%) or to someone else’s (33%). Drinking alcohol during pregnancy is the leading cause of birth defects in North America. 30% of people diagnosed with a mental illness also have a substance abuse problem. As Ontario moves forward with transforming the health care system and establishing Local Health Integration Networks (LHINs), the province is well positioned to make improvements to the mental health and addiction system. In this context, families represent a critical piece of the complex network of people, organizations and institutions that make up the system and cannot be overlooked. This paper outlines the important role of family, the impact of mental health and addiction problems on families, the needs of families, and the benefits of involving them in care provision and decision-making. This report serves as a blueprint for governments, decision-makers and mental health and addiction professionals on how to involve families in the system and support families to meet their needs. Life events that are normally a cause for celebration become a source of stress and conflict. When most people are diagnosed with a significant physical health problem, they seek support from family and friends. Friends and family often rally round to express concern and offer assistance, whether or not support is requested. When a family member has a serious mental health or addiction problem, the response can be quite different. Stigma and discrimination,29,30 and a lack of understanding can mean that families and consumers sometimes conceal mental illness or addiction problems. This fear of nondisclosure may lead families to distance themselves from family, friends and the wider community,31,32 with the result that they are forced to face these issues in isolation. Even when family members do choose to talk about their experiences and their needs, they may not be understood. Siblings of someone with a mental illness may isolate themselves from friends and community because of embarrassment,34 and they may distance themselves from the family because of the stress and chaos. They may feel neglected as their parents focus on an ill brother or sister. Children may take on a parenting role to an ill mother or father or a confidante role for a parent caring for an ill spouse/child. Efforts to quantify the monetary value of the services provided by families are underway. At minimum, however, we know that when families provide care, costs of homecare providers and in-patient hospital stays are reduced. Although families take on significant caregiving roles, they are usually ill-prepared for the challenges associated with this role. Family members often face mental health or addiction problems with little or no training or orientation. They may lack information regarding the problem, treatment, available resources, and the system itself. The complexity of the mental health and addiction systems make it challenging for consumers and families alike to navigate through the system and secure the appropriate help and resources. As a result family members are often left frustrated, not understanding what is happening to their relative, and not knowing how to support their relative through that process. Consumers and families facing concurrent mental health and addiction problems experience even greater frustrations as they are forced to navigate what are essentially two separate systems which treat these conditions separately. Most people discharged from hospital following a psychiatric admission return home to their families.73Individuals with alcohol use disorders also typically maintain contact with loved ones.74 Their relationships are often complex, demanding and intense. Family members and family organizations are poised to be active participants in system planning. Families have seen first hand how the system works and know better than anyone that there is room for improvement. Families often act as advocates for their loved ones at the point of care (crises, hospitalization, referral to community services, social assistance and legal issues) and this advocacy equips them for participation in system planning, program development, implementation and evaluation, legislation critique, and mental health reform activities. Many key Ontario policy documents have recognized the important role and contribution of families as system partners. The needs and contributions of families living with mental health and addiction problems must be addressed. The frequently overwhelming stress they experience requires that they have access to services and supports designed to answer their questions and respond to their concerns. The critical role they play demands that they be recognized as partners in the care of their loved ones. The valuable contribution they make to Ontario’s health care system justifies significantly greater investment in family programs and services. These recommendations acknowledge and build on the important work of family organizations across the province, including the Family Council: Empowerment for Families in Addictions and Mental Health, whose Family Centred Care Initiative was used as a model for recommendations in these four areas. Whether provided by professionals, or by families themselves, accurate information can do much to allay fears, overcome misconceptions and address concerns. Education can help families develop successful coping strategies and enhance their contribution to the recovery of their loved one. Counselling can assist families in coming to terms with the implications of living with a loved one who has a serious mental health or addiction problem. Consumer programs and services such as employment or social recreation programs benefit consumers while providing families with brief respite. 1. Create a protected per capita funding envelope of new monies for family programs including respite services. 2. Develop data collection systems for use at the LHIN and provincial levels to capture the amount of funding being directed to family programs and initiatives. 3. Ensure better access and availability for all consumers to support services such as social / recreational, education, training and employment programs which enhance consumer and family well-being. 4. Ensure all clinical addiction and mental health programs provide family education, support and counselling. All families should have access to general information about addiction, mental health and mental illness, treatment options and coping strategies. 5. Ensure a comprehensive, well-coordinated, easy-to-access and culturally competent range of family services and supports in every LHIN region for families affected by addiction or mental health problems. 6. Enhance collaboration among family programs and initiatives and other mental health and addiction service and support providers by convening, supporting and facilitating regional and local networks and alliances. 7. Increase the capacity of family organizations to review and inform evaluative information on service effectiveness. 8. Provide in-service training to all staff, including direct service providers and administrative staff, to educate and sensitize staff so that they can work well with families and recognize their needs. 9. Ensure professional services such as family education, counselling or therapy are provided to all families who request support regardless of whether their family member is receiving services. It is accepted that no one is better equipped to provide support to families than someone who has experienced the trauma of a loved one’s diagnosis or dealt with the fallout from a relative’s substance abuse problem. The critical role of families in the mental health and addiction systems is obvious. Their need for enhanced support is clear, and the effectiveness of family self help/mutual aid programs has been demonstrated. And yet, there are few such programs, and those that do exist are starved for resources. Much of the stress of living with a serious mental health or addiction problem comes from the social stigma and discrimination still attached to those conditions, the lack of understanding on the part of the public and the resulting social exclusion. Health promotion and anti-stigma and discrimination programs must receive far greater emphasis than they do at present, if we are to address this issue. 10. Include in the Ministry policy framework provision for annualized and sustained funding for peer support and mutual aid organizations. 11. Ensure equitable access to peer support and mutual aid for families in every LHIN and across ethno-cultural communities. 12. Encourage the development of new and innovative strategies (i.e. online support groups, chat rooms, etc.) for offering peer support and mutual aid to families. 13. Facilitate the integration of family peer support and mutual aid within existing addiction and mental health programs through provision of in-kind supports such as use of office or meeting space for family support programs and initiatives. 14. Ensure staff members are knowledgeable and supportive of community resources for family peer support and mutual aid and that they can make appropriate referrals. Families have valuable information and knowledge about their relatives. They also have expertise, acquired through sometimes painful experience. They know about approaches that work and those that do not. Consumers, service providers and families benefit greatly when family members are involved as full partners in the care and support of people with mental health and addiction problems. Partnership has at least three critical components — communication, respect and collaboration. Families recognize the constraints imposed by Ontario’s privacy legislation, but urge providers to re-examine internal policies to encourage and allow sharing as much information as possible within limits of the legislation. Respect requires that service providers recognize and value the unique contribution that family members can and do make. The family’s strengths, expertise and contributions must be acknowledged. Collaboration demands an organizational culture that assumes that family members will be involved, and policies and practices that are conducive to their participation in all phases of the treatment, community rehabilitation and recovery process, wherever appropriate. 15. Develop a provincial policy framework on families, and working with families, within the addiction and mental health systems. The framework should recognize ethnocultural, socio-economic and religious diversity of families and their differing needs and experiences, and include a ‘cultural competence’component in the practice model of family support programs and in the accountability framework. Precedence has been set through the Ministry’s ‘Program Policy Framework for Early Intervention in Psychosis’which identifies family education and support as one of seven key components for Early Intervention in Psychosis programs for Ontario. 16. Establish provincial standards to guide mental health and addiction practitioners in integrating families as members of the care team, while respecting the rights of consumers and clients to privacy and autonomous decision-making. 17. Support and fund continuing education initiatives led by families for addiction and mental health service providers to help them learn how to work with families and understand their needs. 17. Develop organizational policies and procedures which speak to the value of involving families as care providers and which outline practical strategies for involving families. 18. Develop core curriculum for working with families to be incorporated into accreditation training for mental health and addiction professionals, including family physicians and psychiatrists. Ontario’s health care system is currently undergoing a significant transformation. The development of the Local Health Integration Networks (LHINs) signals the government’s intention to ensure that communities have significant input into the design and operation of local health services, and that the system itself is accountable, at the local level, to the people it serves. The enabling legislation requires that the LHINs develop mechanisms for community engagement. It does not, however, identify families among the groups to be involved. 20. Formally recognize families as key stakeholders and include family representatives in the development of Ministry policy for the addiction and mental health sector. 21. Formally recognize families as key stakeholders in the planning and evaluation of the addiction and mental health systems through the inclusion of family representatives on LHIN local advisory committees. 22. Provide a voice for families in decision-making by including family representatives on mental health and addiction organizational boards and committees. Despite this long-standing acknowledgement of families and the care they provide, the overall acceptance and implementation of family related services and supports has been slow. Professional services receive far and away the majority of mental health and substance abuse treatment dollars.84 Verifiable estimates of the level of funding for family programs (treatment, support and self-help) are unavailable from the Ontario Ministry of Health and Long-Term Care. This lack of data is itself problematic and speaks to the need to more formally recognize the family sector. Improving Ontario’s mental health and addiction system requires the collective efforts and commitments of the Ontario Ministry of Health and Long-Term Care, the LHINs, service providers, consumers and families. It is time for families to be included as key stakeholders with a valuable role to play and with real needs that can no longer be ignored. 1 Adapted from: Health Canada (2004). Informal/Family Caregivers in Canada Caring for Someone with a Mental Illness Ottawa, Canada. 2 Health Canada (2002). A Report on Mental Illnesses in Canada. Ottawa, Canada. 4 Kirby, M. & Keon, W. (2004). Report 1, Mental health, mental illness and addiction: Overview of policies and programs in Canada. Interim report of the Standing Senate Committee on Social Affairs, Science and Technology. 5 Single, E., Robson, L., Xiaodi, X., and Rehm, J. (1996) The costs of substance abuse in Canada. Available at: www.ccsa.ca. 6 Skinner, W. (September 2005) Submission to the Standing Senate Committee on Social Affairs, Science and Technology. 7 Murray, C. Lopez, A. (1996). The global burden of disease: A comprehensive assessment of mortality and disability from diseases, injuries and risk factors in 1990 and projected to 2020. Cambridge, MA: Harvard University Press. 8 Wilson, M., Joffe, R. & B. Wilkerson. (2002). The unheralded business crisis in Canada: Depression at Work. An information paper for business, incorporating 12 steps to a business plan to defeat depression. Toronto: Global Business and Economic Roundtable on Addiction and Mental Health. 11 Stephen R, Joubert N. (2001). The Economic Burden of Mental Health Problems in Canada. Chronic Diseases in Canada. 22(1): 18-23. 12 Rehm J, Baliunas D, Brochu B et al. The Costs of Substance Abuse in Canada, 2002. March 2006. 13 Goeree, R., et. al. (2005). The Economic Burden of Schizophrenia in Canada in 2004. Curr Med Res Opin. 21(12): 2017-2028. 14 Standing Senate Committee on Social Affairs, Science and Technology (2006). Out of the Shadows at Last – Transforming Mental Health, Mental Illness and Addiction Services in Canada. (pp. 21). 15 Baker, K. and Skinner, W. (2005). The Family Experience: Addiction and Mental Health Problems as a Family Experience. Presentation to Journalists. 16 Cochrane, JJ; Goering, PN; Rogers, JM (1997). The Mental Health of Informal Caregivers in Ontario: An epidemiological survey. American Journal of Public Health, 87, 2002 -2007. 17 Roberts, AA (1999). The Labor Market Consequences of Family Illness. Journal of Mental Health Policy and Economics, 2, 183-195. 18 Andrews, J; Christie, E; Hendrickx, C; MacLeod, S; St. Lawrence, N. Informal/Family Caregivers in Canada Caring for Someone with a Mental Illness. Presentation to Canadian Home Care Association Conference, October 2004. 19 Champlain District Mental Health Implementation Task Force (2002). Foundations for Reform, Section 4: Families as Partners in the Path to Recovery. 20 Stuart H.L. (2005). Respite Needs of People Living with Schizophrenia: A National Survey of Schizophrenia Society Members. Toronto: Schizophrenia Society of Canada. 22 Berry, D. (1997). Living with Schizophrenia. London: Institute of Psychiatry. 23 Reay-Young, R. (2000). Support groups for relatives of people living with a serious mental illness: An Overview. International Journal of Psychosocial Rehabilitation, 5, 56-80. 24 Cochrane, JJ; Goering, PN; Rogers, JM (1997). The mental health of informal caregivers in Ontario: An epidemiological survey. American Journal of Public Health, 87, 2002 – 2007. 25 Stuart H.L. (2005). Respite Needs of People Living with Schizophrenia: A National Survey of Schizophrenia Society Members. Toronto: Schizophrenia Society of Canada. 26 Reay-Young, R. (2000). Support groups for relatives of people living with a serious mental illness: An Overview. International Journal of Psychosocial Rehabilitation, 5, 56-80. 28 Lively, S; Friedrich, R M; Rubenstein, L (2004). The effect of disturbing illness behaviour on siblings of persons with schizophrenia. Journal of the American Psychiatric Nurses Association, 10(5), 222-232. 29 Corrigan, P W: Watson, A C: Gracia, G; Slopen, N; Rasinski, K; Hall, L. L. (2005). Newspaper Stories as Measures of Structural Stigma. Psychiatric Services, 56(5), 551-556. 30 Muhlbauer, S.A. (2002). Experience of stigma by families with mentally ill members. Journal of the American Psychiatric Nurses Association, 8(3), 76-83. 31 Reay-Young, R. (2000). Support groups for relatives of people living with a serious mental illness: An Overview. International Journal of Psychosocial Rehabilitation, 5, 56-80. 32 Tsang, H., Tam, P., Chan, F., & Chang, W. (2003). Sources of burdens on families of individuals with mental illness. International Journal of Rehabilitation Research, 26, 123-130. 33 Stuart H.L. (2005). Respite Needs of People Living with Schizophrenia: A National Survey of Schizophrenia Society Members. Toronto: Schizophrenia Society of Canada. 35 Connors, G. J., Donovan, D. M., & DiClemente, C. C. (2001). Substance abuse treatment and the stages of change: Selecting and planning interventions. NY: Guilford Press. 36 Andrews, J; Christie, E; Hendrickx, C; MacLeod, S; St. Lawrence, N. Informal/Family Caregivers in Canada Caring for Someone with a Mental Illness. Presentation to Canadian Home Care Association Conference, October 2004. 37 Roberts, AA (1999). The Labor Market Consequences of Family Illness. Journal of Mental Health Policy and Economics, 2, 183-195. 38 Chen, F. and J.S. Greenberg (2004). A Positive Aspect of Caregiving: The Influence of Social Support on Caregiving Gains for Family Members of Relatives with Schizophrenia. Community Mental Health Journal, 40(5), 423-435. 39 Standing Senate Committee on Social Affairs, Science and Technology (2006). Out of the Shadows at Last – Transforming Mental Health, Mental Illness and Addiction Services in Canada. (pp. 29-30). 40 Boudreau, R (2004). Substance use problems and the family. In Harrison, S and Carver, V. Alcohol and Drug Problems: A Guide for Counsellors. 3rd edition. Toronto: CAMH. 41 Fitzgerald, H.E., Sullivan, L.A., Ham, H.P., Zucker, R.A., Bruckel, S., Schneider, A.M., & Noll, R.B. (1993). Predictors of behavior problems in three-year-old sons of alcoholics: Early evidence for the onset of risk. Child Development, 64, 110-123. 42 Weissman, M M; Pilowsky, D J; Wickramaratne, P J; Talati, A, Wisniewski, S R; Fava, M; Hughes, C W, Garber, J: Malloy, E; Link, C A; Cerda, G; Sood, A B; Alpert, J E; Trivedi, M H; Rush, J. (2006). Remissions in Maternal Depression and Child Psychopathology. Journal of the American Medical Association, 295 (12), 1389-1398. 43 Blanton, H., Gibbons, F. X., Gerrard, M., Conger, K. J., & Smith, G. E. (1997). Role of family and peers in the development of prototypes associated with substance use. Journal of Family Psychology, 11(3), 271-288. 44 Conry, J. (2004). Effect of parental alcohol use on children’s development. In Harrison, S and Carver, V. Alcohol and Drug Problems: A Guide for Counsellors. 3rd edition. Toronto: CAMH. 45 Fisher, G. L., & Harrison, T. C. (2000). Substance abuse: Information for school counselors, social workers, therapists, and counselors, 2nd edition. Boston: Allyn & Bacon. 46 Woodside, M. (1988). Children of alcoholics: helping a vulnerable group. Public Health Reports, 103(6), 643-648. 50 Kirby, M. & Keon, W. (2004). Report 1, Mental health, mental illness and addiction: Overview of policies and programs in Canada. Interim report of the Standing Senate Committee on Social Affairs, Science and Technology. (pp. 26). 51 Looper, K, Fielding, A, Latimer, E, Amir, E. (1998). Improving Access to Family Support Organizations: A Member Survey of the AMI-Quebec Alliance for the Mentally Ill. Psychiatric Services, 49, 1491-1492. 52 Kaas, M J; Lee, S; Peitzman, C (2003). Barriers to collaboration between mental health professionals and families in the care of persons with serious mental illness. Issues in Mental Health Nursing, 24, 741- 756. In addition, Dixon et al found substantial evidence that education about mental illness and coping strategies improves outcomes for family members and increases the chances of recovery for ill relatives. Despite this, psychoeducational programs remain scarce. Dixon, L., Adams, C., & Lucksted, A. (2000). Update on family psychoeducation for schizophrenia. Schizophrenia Bulletin, 26, 5–20. Burke et al found that involvement of a significant other in the intervention process can help in identifying barriers and solutions, as well as providing corroborating or contrary information about what happens outside of the treatment setting. Burke, Vassilev, Kantchelov, & Zweben, (2002). Motivational interviewing with couples. In W. R. Miller & S. Rollnick (Eds. ), Motivational Interviewing: Preparing people for change, 2nd edition (pp. 347-361). NY: Guilford. 54 Boydell, K. Jadaa, D. Trainor, J. & O’Grady, C. (under review). Impact of participation in self-help organizations. 55 Andrews, J; Christie, E; Hendrickx, C; MacLeod, S; St. Lawrence, N. Informal/Family Caregivers in Canada Caring for Someone with a Mental Illness. Presentation to Canadian Home Care Association Conference, October 2004. 56 Adapted from: The Canadian Collaborative Mental Health Initiative (2006). Working together towards recovery: Consumers, families, caregivers and providers. A toolkit. (pp. 55). Available at: www.ccmhi.ca. 58 Andrews, J; Christie, E; Hendrickx, C; MacLeod, S; St. Lawrence, N. Informal/Family Caregivers in Canada Caring for Someone with a Mental Illness. Presentation to Canadian Home Care Association Conference, October 2004. 59 Canadian Mental Health Association (undated). Families of People with Mental Illness: Current Dilemmas and Strategies for Change. 62 Falloon, I; Coverdale,J: Brooker, C. (1996). Psychosocial interventions in schizophrenia: A review. International Journal of Mental Health, 25 (1), 3-21. 63 Standing Senate Committee on Social Affairs, Science and Technology (2006). Out of the Shadows at Last – Transforming Mental Health, Mental Illness and Addiction Services in Canada. (pp. 29). 64 Boydell, K. Jadaa, D. & Trainor, J. (under review). A saving grace: Self-help for families of people with serious mental illness. 65 Dixon L, Lucksted A, Stewart B, Burland J, Brown CH, Postrado L, McGuire C, Hoffman M. (2004). Outcomes of a peer-taught 12week family-to-family education program for severe mental illness. Acta Psychiatr Scand, 109, 207–215. 66 Dixon, L., Adams, C., & Lucksted, A. (2000). Update on family psychoeducation for schizophrenia. Schizophrenia Bulletin, 26, 5–20. 67 Boydell, K. Jadaa, D. Trainor, J. & O’Grady, C. (under review). Impact of participation in self-help organizations. 72 Standing Senate Committee on Social Affairs, Science and Technology (2006). Out of the Shadows at Last – Transforming Mental Health, Mental Illness and Addiction Services in Canada. (pp. 247). 73 Looper, K, Fielding, A, Latimer, E, Amir, E. (1998) Improving Access to Family Support Organizations: A Member Survey of the AMI-Quebec Alliance for the Mentally Ill. Psychiatric Services, 49, 1491-1492. 74 Connors, G. J., Donovan, D. M., & DiClemente, C. C. (2001). Substance abuse treatment and the stages of change: Selecting and planning interventions. NY: Guilford Press. 75 Canadian Mental Health Association (undated). Families of People with Mental Illness: Current Dilemmas and Strategies for Change. 76 Bogart Marshall, T. Solomon, P. (2000). Releasing Information to Families of Persons With Severe Mental Illness: A Survey of NAMI Members. Psychiatric Services, 51, 1006-1011. 77 Martire, L M; Lustig, A P; Schulz, R; Miller, G E; Helgeson, V S (2004). Is it beneficial to involve a family member? A meta-analysis of psychosocial interventions for chronic illness. Health Psychology, 23(6), 599 – 611. 81 Boydell, K. Jadaa, D. & Trainor, J. (2004). A benefit for everyone: Family-researcher collaboration in the mental health field. Canadian Journal of Program Evaluation, 19(3), 55–70. 82 Setting the Course, which served as the foundation for reorganization of addiction services, noted that family members can play an important role in the addicted person’s recovery and called for family-based or integrated treatment services to be available in each district of the province. Building Community Support for People (‘the Graham Report’) identified family supports as one of 11 ‘essential elements’of an effective mental health care system. CMHA’s seminal document A Framework for Support (now in its third edition) identifies families as one of four equally important pillars of the ‘Community Resource Base’for people with mental health issues. 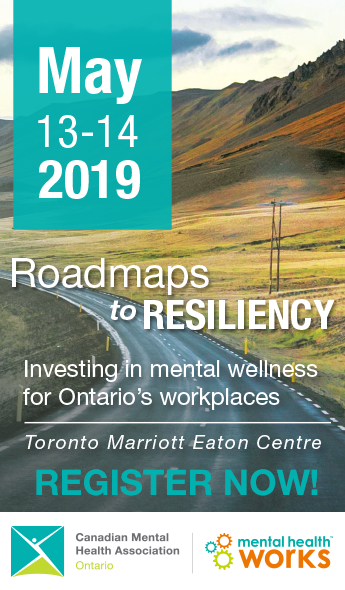 The Provincial Forum of the Mental Health Implementation Task Forces in Ontario stated that mental health reform must include families as treatment and recovery partners and that they must have access to a range of supports and services for themselves. 83 Standing Senate Committee on Social Affairs, Science and Technology (2006). Out of the Shadows at Last – Transforming Mental Health, Mental Illness and Addiction Services in Canada. My son was diagnosed with bipolar affective disorder in early adulthood. A graduate student with a promising future at the time of the diagnosis, he has managed, despite a number of relapses, to build a successful life and career. My husband experienced repeated episodes of what would eventually be identified as bipolar disorder. Our struggle to navigate the mental health system and to get appropriate treatment in the years prior to his diagnosis almost cost us our marriage, and created a major health crisis for me. I am now an articulate and committed advocate for family education and support. I am new to the system, with my husband having had his first manic episode mere months ago. I recently quit my job to help coordinate his treatment. Together we are learning to manage in this new reality. My sister has schizophrenia. The profound stigma attached to mental health issues in our cultural community, and the shame experienced by my family, prevented us from seeking treatment for many months. I wonder how much I can expect of my sister, and what the future will hold for us. I am new to Canada – simultaneously adjusting to the culture and the mental health system that supports my son. Recently diagnosed with schizophrenia, he receives treatment from the same organization that supports me in my efforts to adjust. Since age 17, I have been my sister’s primary caregiver. In the past 30 years, I have been exposed to every aspect of Ontario’s mental health and addiction system as my sister struggles with both a serious mental illness and a devastating addiction. I am a retired businessman whose ex-wife descended into alcoholism and despair. The pain of that experience, and my concern that my handling of it may have led my son to follow in his mother’s path, is evident many years later. Not surprisingly, the presence of a serious mental health or addiction problem can have significant consequences for all family members. Research has shown that caregivers have higher rates of affective and anxiety disorders and are twice as likely as non-caregivers to use mental health services for their own problems. Spouses of problem drinkers report high rates of anxiety, depression and low self-esteem. Siblings of people whose schizophrenia creates behavioural disturbances display high levels of distress. Children of alcoholic or drug-using parents exhibit increased rates of depression, anxiety disorders and other psychiatric issues, while those of depressed mothers have high rates of anxiety, disruptive and depressive disorders that begin early, often continue into adulthood, and create impairment. Despite that, there is, for some families, a silver lining to this dark cloud. The same challenges that cause such stress can make family ties grow stronger. As they learn about recovery and understand their role in it, they feel empowered and supported. As they meet other families who share their experience, they find a new sense of community. The important roles that family support can play in recovery from mental health and addiction problems are well documented. Those roles, and their value, have been recognized by professional groups and government bodies, many of which have called for increased family involvement in all areas of activity.